Standardisation of the school year by the Department of Education and Skills has meant that, for the first time in living memory, Irish primary school children returned to school before 7th January in 2014. Traditionally school Christmas holidays didn’t end until after the Feast of the Epiphany (6th January). 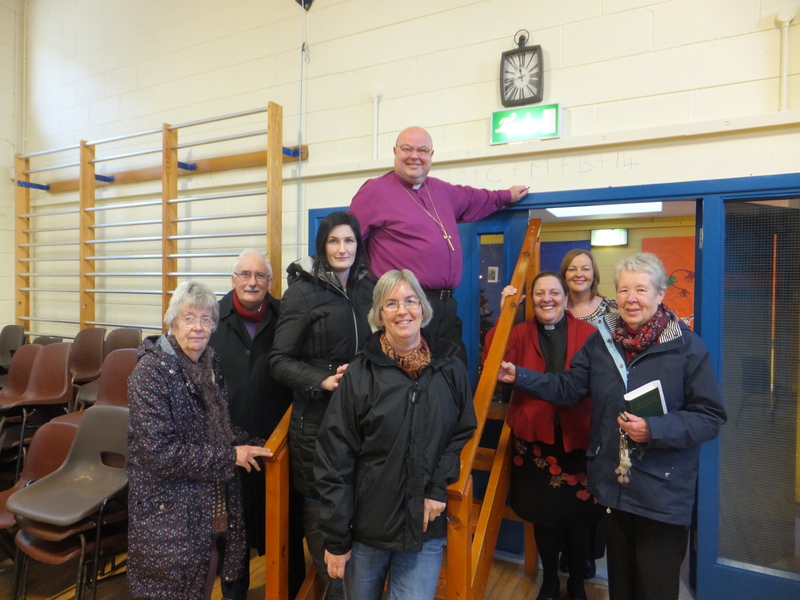 In Cork, Cloyne and Ross, schools under the patronage of the Bishop, the Right Reverend Dr Paul Colton, were asked, therefore, to make a special effort to celebrate Epiphany on the first school day of 2014. 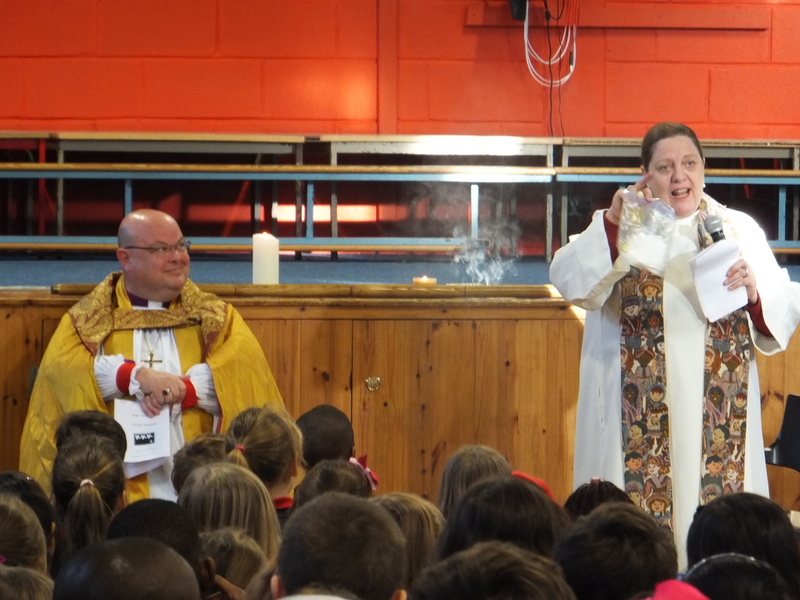 Schools across the Diocese held special assemblies supported by local clergy, or attended the Epiphany celebrations in the local parish churches. The Bishop of Cork, Cloyne and Ross (left) and the pupils of St Mary’s Church of Ireland National School, Carrigaline, Co Cork, listen as the rector, the Reverend Elaine Murray (right) explains and shows the difference in smell between frankincense and myrrh. The Bishop himself attended the Epiphany Service in St Mary’s Church of Ireland National School, Carrigaline, Co Cork, where the Service was planned by the Reverend Elaine Murray and the school Principal, Ms Valerie Elliffe. Local parishioners were also invited by the school-children to come along. The Service of songs and readings, included also music played by teachers and pupils, as well as the opportunity for all the children to smell the difference between frankincense and myrrh. All were given a ‘gold’ chocolate coin too to remember the occasion. 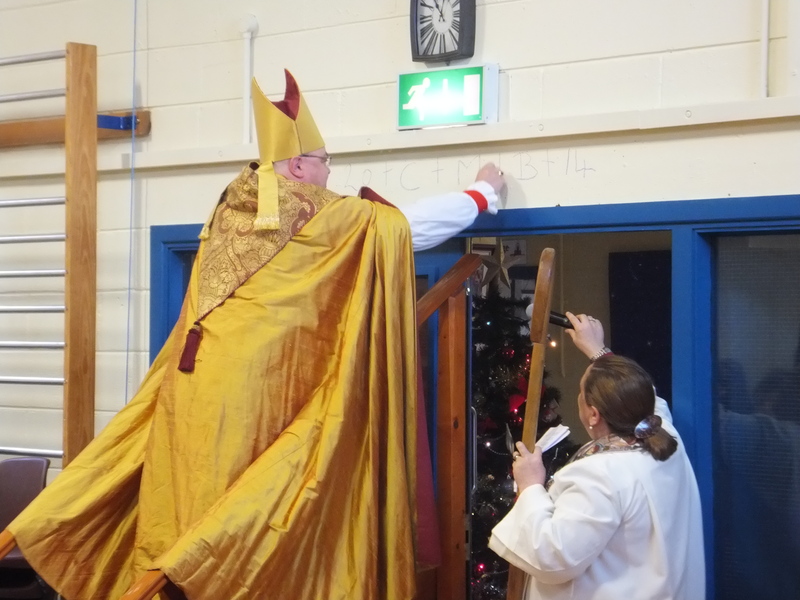 Having blessed the chalk for people to take home, the Bishop, gives the blessing at the end of the Service by marking the lintel of the school entrance with the traditional lettering: the year and the initials of the wise men. Bishop Colton told the children about the Central European Epiphany custom of blessing chalk which is then taken home to mark the lintel of the doors of homes with the initials of the wise men: Caspar, Melchior and Balthasar and the year, 2014. 2014 years after the birth of Jesus, we too welcome the wise men, and, like them, we invite Jesus into our homes. We worship him and honour him with our gifts. The three Wise Men, C (Caspar), M (Melchior), B and (Balthasar), followed the star of God’s Son who became human 20 (two thousand) and 14 (fourteen) years ago. Bishop Colton explains the symbolism to some Carrigaline parishioners before distributing chalk to them to bring home. This entry was posted in Children's Ministry, Epiphany, Schools in the Diocese. Bookmark the permalink.